Dr. Willard F. Harley, Jr. (Bill), is a nationally acclaimed licensed clinical psychologist, a marriage counselor, and the bestselling author of numerous books, including His Needs, Her Needs; Five Steps to Romantic Love; Love Busters; and His Needs, Her Needs for Parents. 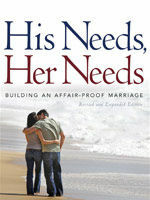 His popular website, marriagebuilders.com, offers practical solutions to almost any marital problem. Joyce S. Harley has 25 years of radio experience as a talk show host and a producer. She is active in evangelism as a regional representative with Stonecroft Ministries and is a recording artist with a vibrant Bible teaching and singing ministry. As husband and wife, Bill and Joyce Harley combine their talents to host Marriage Builders® Radio, a daily radio call-in show answering listeners' questions on marriage. 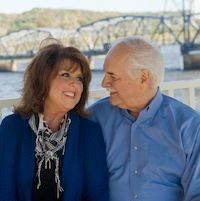 Dr. Bill and Joyce Harley have two adult children and reside in Minnesota.